The Board of Regents, the 19-member governing body for the University System of Georgia, today elected Regent Don L. Waters to a one-year term as the Board’s chair and Regent T. Rogers Wade to a one-year term as the Board’s vice chair. Waters will serve as Board chair from Jan. 1, 2019, through Dec. 31, 2019. Governor Nathan Deal appointed Waters in 2013 to the Board of Regents to represent the First Congressional District. He is the CEO of Waters Capital Partners, LLC, an investment company and family office. From 1993 through 2016, Waters was the chairman, president and chief executive officer of Brasseler USA, Inc., an international manufacturer of dental and medical surgical instrumentation. Prior to that he practiced both as a Certified Public Accountant, as a partner with Price Waterhouse & Co., and as an attorney with HunterMaclean. A native of Savannah, Waters currently serves on the board of the Georgia Research Alliance, the board of the Rotary Club of Savannah, Board of Trustees of the Chatham County Hospital Authority, the Board of Trustees of the Augusta University Health System, and on the Board of Curators of the Georgia Historical Society. In 2013, Waters was inducted into the Savannah Business Hall of Fame, and in 2017 he was the recipient of the Lifetime Achievement Award given by the Savannah Branch of the NAACP. In 2018, he was the recipient of the Distinguished Service Scroll from the University of Georgia School of Law, his alma mater. Waters graduated from Armstrong State College with a BBA in Accounting and the University of Georgia School of Law with a JD. His family endowed the Waters College of Health Professions at Armstrong State University, now part of Georgia Southern University. He and his wife Cindy have two daughters, four grandsons, and are members of the Isle of Hope United Methodist Church. T. Rogers Wade, who will serve as vice chairman of the Board in 2019, was appointed to the Board as an at-large member by Governor Nathan Deal in 2013. 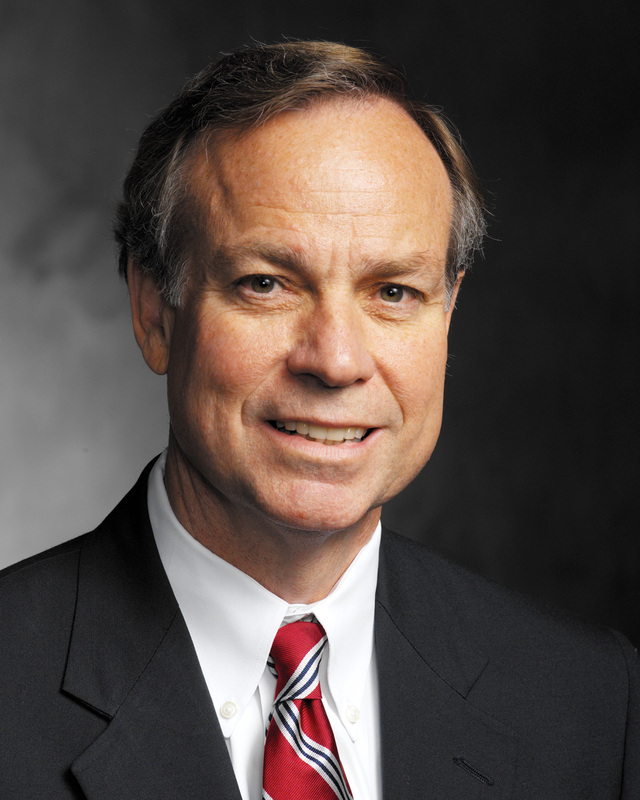 Prior to retirement, Wade was president and CEO of the Georgia Public Policy Foundation from 1997 through 2009. He is currently chairman of the Board of Trustees of that organization and senior partner of Capitolink Inc.
Before joining the Foundation, Wade was a partner in the public affairs firm of Edington, Wade and Associates, with offices in Atlanta and Washington, D.C. He has been an active member of the Georgia business and political community for over 40 years and served as chief of staff to Senator Herman E. Talmadge in Washington, from 1973 through 1980. Upon returning to Georgia, he was named vice president of Watkins Associated Industries, a national company with major holdings in transportation, development, seafood processing, insurance and communications. In 1985 he opened the Atlanta offices of Edington, Wade and Associates representing over half of the Fortune 100 companies from throughout the United States and Europe. He was a founding member of Leadership Georgia in 1972 and in 2010 he was asked to serve as chairman of the Transition Team by Governor Nathan Deal. Wade serves currently on the boards of the Georgia Research Alliance, the Georgia Trucking Association, the U.S.O., the Fanning Leadership Institute, is a Trustee of the Richard B. Russell Foundation and is chairman of the Governor’s Defense Initiative. He has also been active on the boards of the Georgia Chamber of Commerce, Gordon College Foundation, the P.A.G.E. Foundation and the Advisory Board of the School of Engineering at the University of Georgia. He received the Blue Key Service Award from the UGA Chapter of the Blue Key National Honor Society, is the recipient of the Public Policy Foundation’s Freedom Award, received the 2016 Patriot Award from the U.S.O. and was recently inducted into the Georgia Trend’s Most Influential Hall of Fame. While at the University of Georgia, he was a member of Alpha Tau Omega, the Demosthenian Literary Society and met his late wife of over half a century, the former Marcia Bryan, of Tampa Florida. Rogers is a member of the Rotary Club of Atlanta and is a long-time resident of Sandy Springs. The Board of Regents is a constitutional body that governs the University System of Georgia, comprising 26 public colleges and universities, the Georgia Public Library Service and the Georgia Archives, and serves more than 328,000 students.